Iskandar Putri Nusajaya Commercial Shop house Hot New Launch. Iskandar Putri shop house new launch in Singapore. 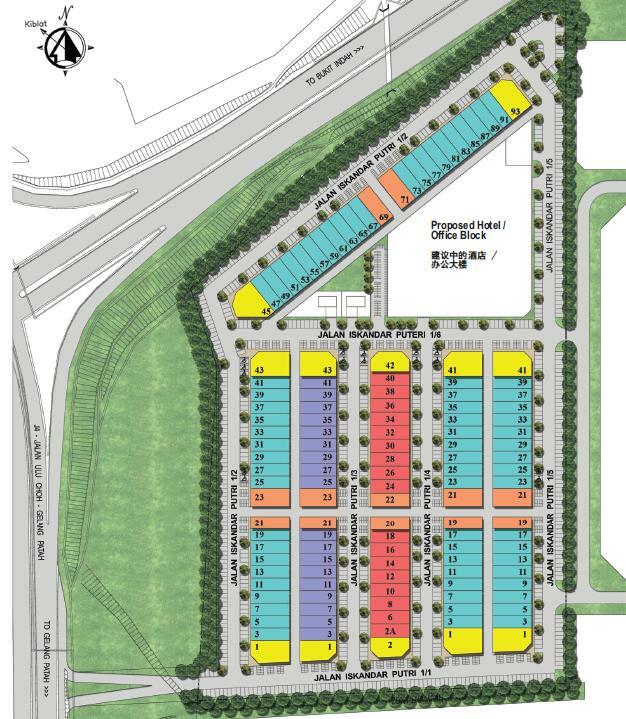 Iskandar Putri is a proposed Mixed Commercial development comprising of shop lots, offices, proposed hotel or service apartment in Taman Nusantara, Bandar Nusajaya, Mukim Jelutong, Daerah Johor Bahru Nusajaya. Launching for sale are Intermediate and End Lot shop houses. Price from S$6xxk for an intermediate shop house of 5,014sqft with 12% Rental Guaranteed and Special VIP Promo Package. Iskandar Putri Nusajaya is a mixed commercial development with 132 unit of 3-storey and 4-storey shop houses with a podium of proposed Hotel , Office or Service Apartment development. Spanning across 17.50 acres (762,300 Sqft) of Freehold land, The Iskandar Putri Nusajaya is a project between Insan Makmur Sdn Bhd, a subsidiary of Emercon Group of Companies and the State Government of Johor. Iskandar Putri Nusajaya shop house development is strategically located in Nusajaya just 15 mins drive from Tuas 2nd link with a promising catchment population from surrounding residential enclaves, industrial parks work force and a new Singapore-Malaysia bus terminal tourists. 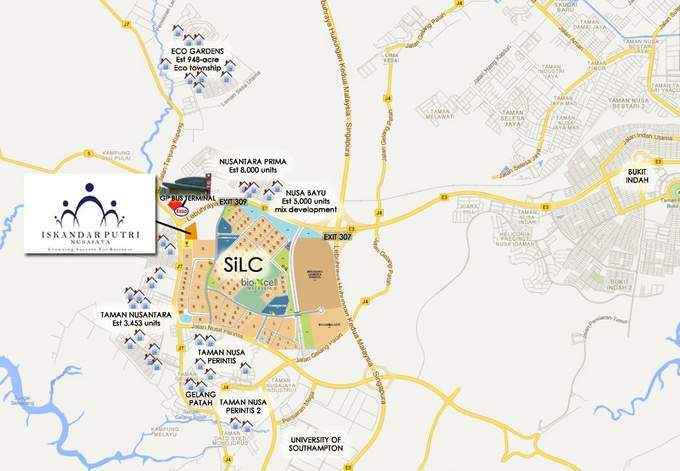 Located just one street away from SiLC, Southern Industrial Logistic Cluster, an important catalyst development of Iskandar which has attracted many Singapore SMEs as well as international MNCs, Iskandar Putri is poised to serve the growing commercial needs of these potential 16,000 working force. Also in the vicinity are 4 residential townships, Nusa Bayu, Taman Nusa Perintis, Nusatara Prima and Setia Eco Gardens with another potential of 60,000 residential commerical needs for Iskandar Putri to cater to. 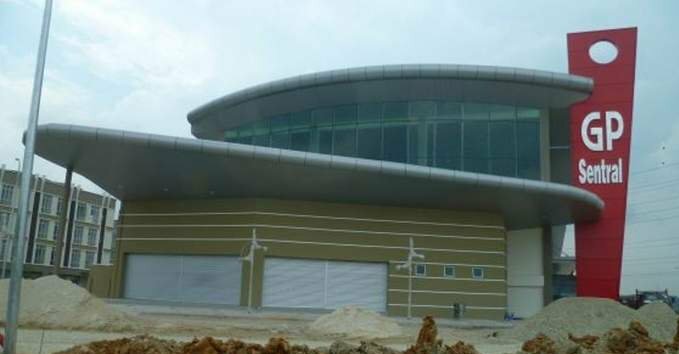 Due to complete by end 2013 is a new Gelang Patah Bus Terminal, GP Sentral , envisioned to be the first and the last stop for Singapore-Malaysia bus services catering to the Johor-Singapore market and promote day-trips into Singapore. It is located just 10mins walk from Iskandar Putri therefore providing even more commercial opportunities from the daily urban tourists. Since the conceptualization for the Iskandar Project in 2006 to make Nusajaya into a world class and vibrant city, the Malaysian government have made relentless drive and investment to turn their vision into reality. To form a firm foundation, excellent infrastructure have been built and favourable policies and attractive incentives are designed to attract investments by big companies and businesses into Nusayjaya. To date, a staggering RM100 billions and more are already invested in Iskandar and most of which are in Nusajaya. More big players like Temasek, Ascendes, CapitaLand and Singapore Billionaire Peter Lim made headlines as they ventured into Nusajaya, Iskandar. And the announcement of the proposed joint development of the high speed train and MRT in Iskandar, future development and investment potential is massive. More and more Singapore’s businesses will be drawn to Nusajaya, due to its proximity and the attractive policies and cost advantage. So Don't miss your 1st mover opportunity to capitalise on the full potential of this Iskandar development. Register for your show gallery appointment and select your choice unit today! FREEHOLD 3 Storey shop house, 5,000sqft from S$1xx psf only! 1st mover advantage to capitialise on Iskandar growth potential set to become a prominent global destination city. Related Information - The proposed Mixed Commercial development consist of shop lots, offices, Retails shop, hotel & Service Apartment. - Next to SiLC, 1400 acres of Industrial / Biotech land is fully sold with Bio-Xcell as main catalyst development which once completed will be Asia Top Biotech City. "Iskandar Putri Nusajaya Shop house Launching Soon"
Register to Book at VIP Price and Priority Selection!